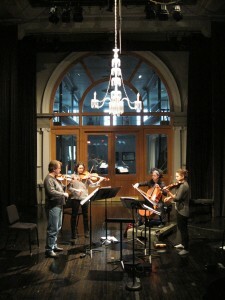 On November 29, 2011, at 20:00, the string quartet Zenit (2010) by Rozalie Hirs is performed by the Quatuor Bozzini at Chapelle Historique du Bon-Pasteur in Montréal, Canada. 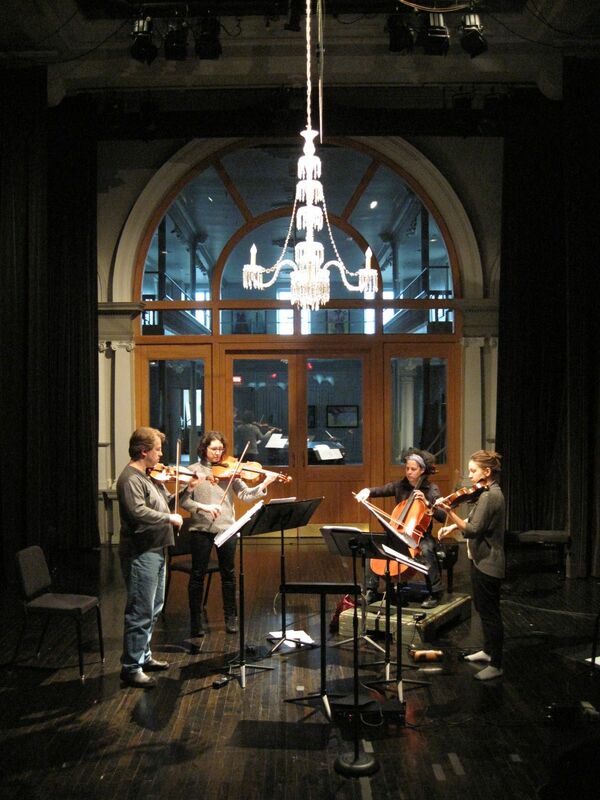 On November 20, 2011, Quatuor Bozzini performs the composition Zenith (2010) by Rozalie Hirs at the Huddersfield Contemporary Music Festival in Huddersfield, England. The Bozzini Quartet bring their uncompromising austerity and generous sensitivity to the Huddersfield Contemporary Music Festival for the fourth time with a programme that explores the outermost bounds of the practice we once called minimalism. Two UK premieres and one world premiere explore uncharted regions of a warmly human, ineffable space of unknown possibilities. 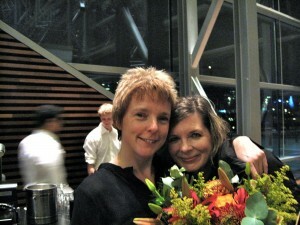 During the 2010-2011 season, Rozalie Hirs is Visiting Lecturer at the Composition Department of Guildhall School of Music & Drama, London, England. During this period, she is giving masterclasses over the course of several weeks, as well as workshops and private composition lessons to students of the Guildhall School. This includes a three day period from November 16 to 18, 2011. The focus is on new compositional techniques and applications of the OpenMusic software, developed at IRCAM, as part of the compositional process. On November 13, 2011, at 14:00, Rozalie Hirs’s musical composition Arbre Généalogique (2011) is being performed by Susan Narucki (soprano), Pierre-André Valade (conductor) and the Asko|Schönberg ensemble, as part of the November Music festival in Den Bosch. On November 10, 2011, at 20:15, the world premiere of the musical composition Arbre Généalogique (2011) by Rozalie Hirs is taking place as part of the PROMS concert series in Muziekgebouw aan ‘t IJ. 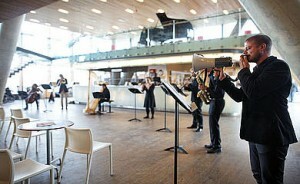 The piece is performed by Susan Narucki (soprano), Pierre-André Valade (conductor) and the Asko|Schönberg ensemble. 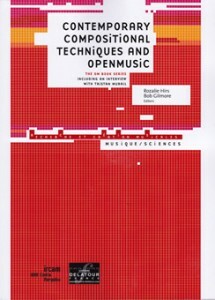 On November 10, 2011, at 14:00, Rozalie Hirs is giving a lecture about her work for the Composition Department of the Amsterdam Conservatory, particularly focusing on her new composition Arbre généalogique (2011), which receives its world premiere performance later on the same day at the Muziekgebouw aan ‘t IJ. 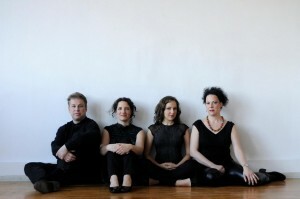 On November 10, 2011, the musical composition Sacro Monte (1997) by Rozalie Hirs is performed by f.c. 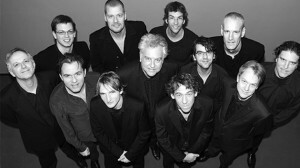 jongbloed and Arnold Marinissen (conductor) at Frits Philipszaal, Muziekcentrum Eindhoven. 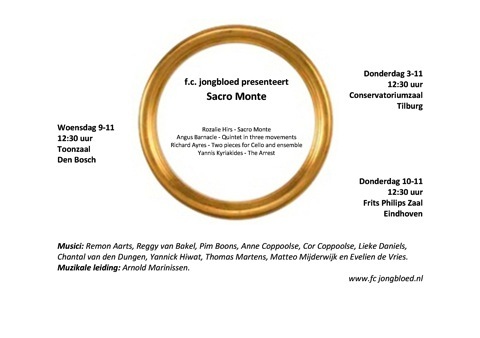 On November 9, 2011, the musical composition Sacro Monte (1997) by Rozalie Hirs is performed by f.c. jongbloed and Arnold Marinissen (conductor) as part of the November Music festival in ‘s-Hertogenbosch. On November 5, 2011, Rozalie Hirs is being interviewed by Mark Brouwer for the radio program Podium/ Viertakt, about her CD Pulsars (Amsterdam: Attacca records, 2010), and about music, poetry, and the creative process. 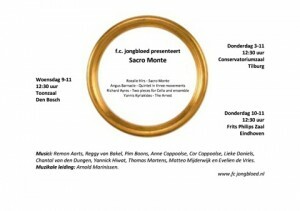 On November 3, 2011, the musical composition Sacro Monte (1997) by Rozalie Hirs is performed by f.c. 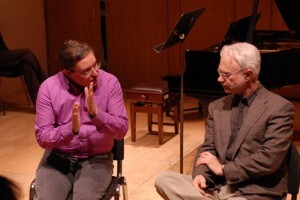 jongbloed and Arnold Marinissen (conductor) at the Conservatoriumzaal, Fontys Conservatorium, Tilburg, The Netherlands.